idea, perhaps you can help me. And then you decide to just keep on going with life. your hallowed name in reverence. around out there, have their own big moments, their own plans to undertake. having served someone be its own reward, and then be happy and move on. humble servant, or a complaining servant. My daughter will be a senior in a few days.. Huh. In 3 months my daughter will be 17... Huh. I pulled it off, but only because we love where we are and what we do. I started with an old mac. I installed Kjams software on it. I plugged in a mic. No one ever used it. But I knew how to make it. around because.... you never know. have a youth event tomorrow... does anyone have a karaoke machine?" boots.' I ran home, dusted it off, booted it... boom instant karaoke. decided NOT to get rid of it? This is our daughter, helping lead Sunday morning worship. 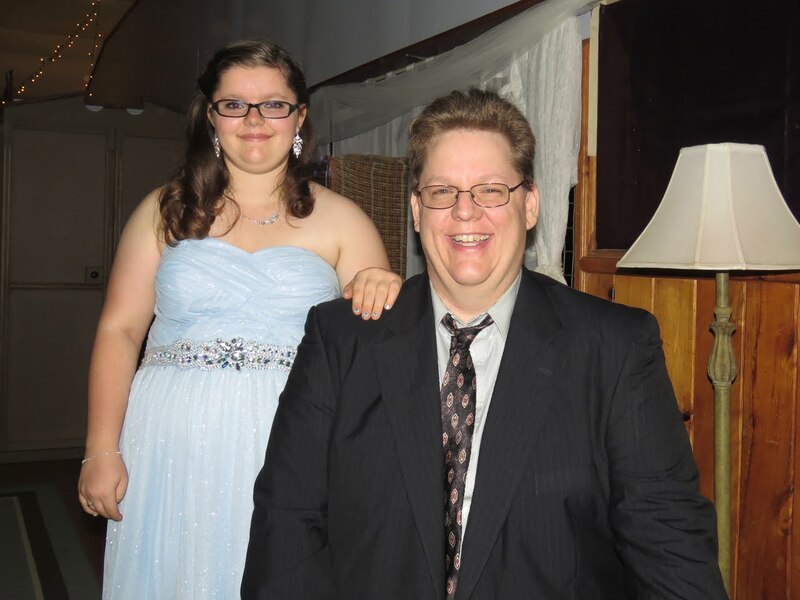 She's in the youth band, in the choir, in the accappela singing group, and an 11th grader at the high school. This week we have for the 11th and 12th graders a tradition here, called Banquet. You'd be familiar with the concept of prom or banquet depending on where you live/go to school. Only we don't have fancy restaurants to go to. So, the parents of these youths and other caring community members plan for months to make it a special time. Those plans come to culmination in a one week period of repurposing old building materials and turning the gym into something new and exciting for the kids. A place they visit very regularly, their teen center, is transformed into something else. The concept isn't foreign, other schools do it. We do it a slight bit differently in that we have relatively no budget for the event. My wife and I have been knee deep in this since the beginning (along with many others) and it is the kind of hard work that is also very enjoyable because the community is pulling together to create a blessing for our outgoing seniors and incoming seniors. For some it is also a catharsis, a period of knowing this is the last big thing you'll be able to do for your kid before they move away. Some of you may remember 'Carol Sing'. It is a lot like that (on a smaller scale). I won't avoid the truth, there are some people who feel that missionaries shouldn't spend their time doing this type of thing. We've learned a LOT about transitions and the role traditions play in transitioning over the years. In June, dozens of TCK (third culture kids, formerly called Missionary Kids) are going to exit their 'home' and go to their sending country and try to establish themselves in this foreign environment, as fledgling adults. It is a difficult time for them. They could use your prayers. But before they go, we're gonna have one last big fling, and it's called Banquet, and it happens in 2 days. And then, all the adults are going to pass out and sleep for the weekend.